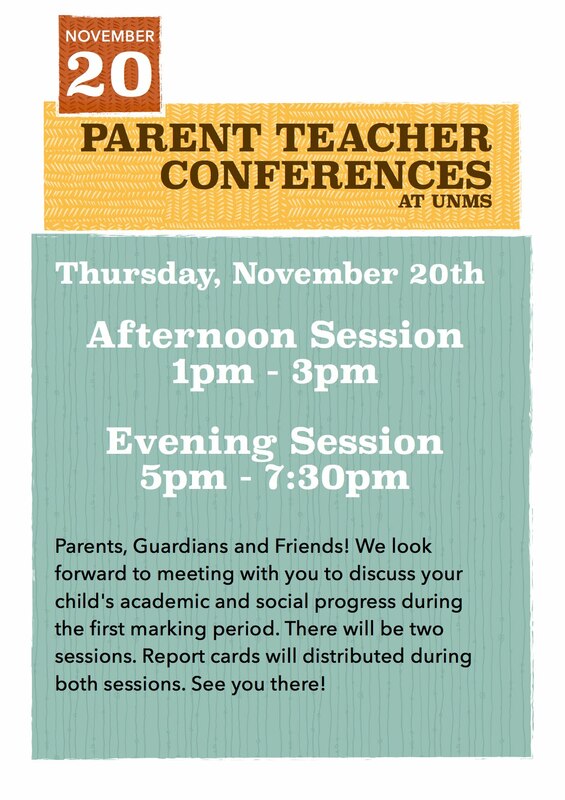 UNMS's Parent Teacher Conferences will take place on Thursday, November 20th. There will be two sessions. The afternoon session is from 1PM to 3PM; and, the evening session is from 5PM to 730PM. We look forward to meeting with you to discuss your child's academic and social progress during the first marking period. Report cards will distributed during both sessions.